You have 3962 characters. Don’t forget to add important and relevant keywords in your description to improve your iTunes app page and optimize your SEO. 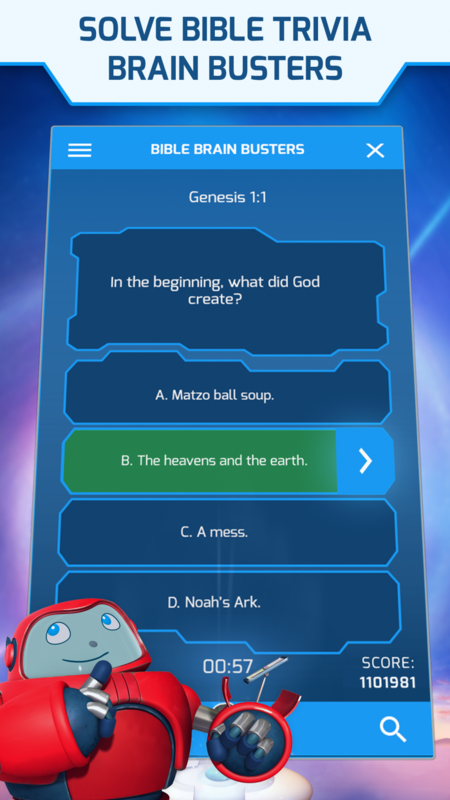 This FREE Kid's Bible app brings the Bible to life for the entire family with a full Bible, videos, images and engaging interactive games. 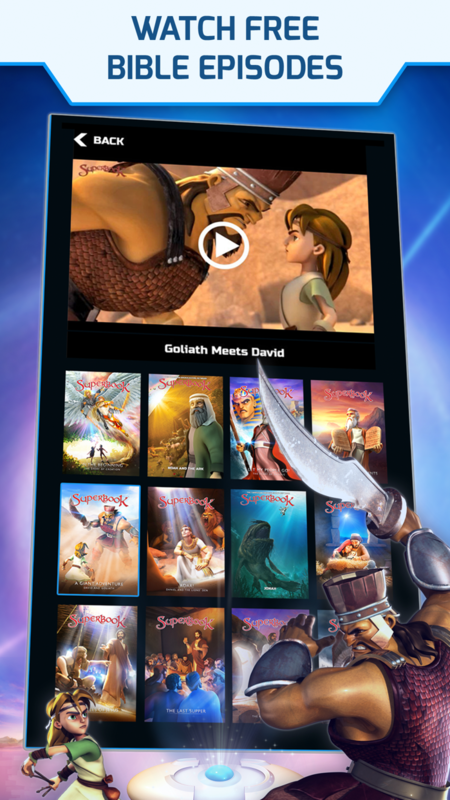 Featuring twenty six (26) full-length, FREE EPISODES from the Emmy nominated Superbook series including David and Goliath, The Ten Commandments, Daniel and the Lions’ Den, The First Christmas and more Bible stories! 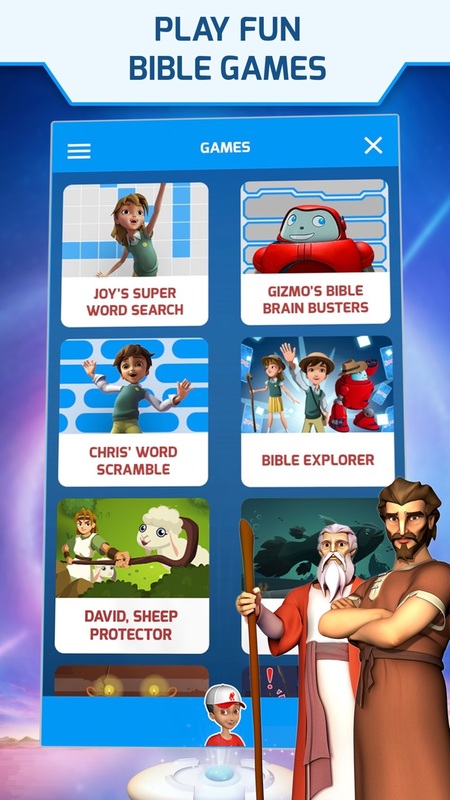 • 26 full-length, free episodes from the Emmy-nominated children's Bible animation series - SUPERBOOK. 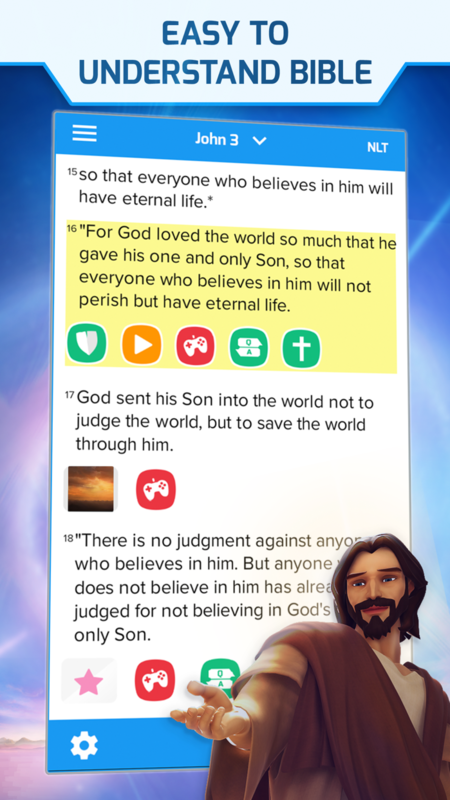 • Add your own photos within the kid's Bible, so that you can make a personal connection with a verse. For example, if you want to remember to pray for a friend, you can attach a photo of that friend to a verse, which can remind you to pray for them, or maybe you’ve photographed an incredible sunset, so you can take that photo and attach it to Genesis 1:3 where the Bible shares about God creating light.